CIRO Jewelry since 1917. 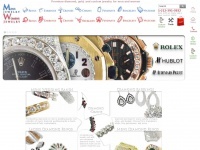 Shop online for premium jewelry. Featuring the CIROLIT & CIRO pearl. Sterling silver & gold plated. High quality designer jewelry. four profiles were found for Ciro.at in social networks. Among other social networks the website is represented in Facebook, Twitter, GooglePlus and Pinterest. 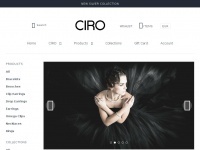 The web server used by Ciro.at is run by Shopify and is located in Ottawa, Canada. There are many websites run by this web server. The operator uses this server for many hosting clients. In total there are at least 11,265 websites on this server. The language of these websites is mostly english. A Nginx server hosts the websites of Ciro.at. The website uses the latest markup standard HTML 5. The website does not specify details about the inclusion of its content in search engines. For this reason the content will be included by search engines. Casjewellery.com - Wholesa­le Costu­me Je­welry,Wholesa­le Je­welry Supplies - ..
Traxnyc.com - Men's Gold Je­welry & Men's Hip Hop Je­welry, NYC | ..
Gets.cn - Gets - Wholesa­le beads and Je­welry Acces­so­ries on­li­ne ..